Karen writes: iTunes Match on the iPhone works great for me when I’m near my home Wi-Fi network, but I’m having big trouble the moment I go out into the world. My iPhone’s battery just goes kaput whem I’m on 3G, especially when I’m shuffling songs. Is iTunes Match putting a strain on my battery life? Hi Karen! I think I know what’s happening here. Do me a favor and tap Settings, Music; is “Show All Music” set to “On”? I’m guessing that it is. Displaying every track in your iTunes Match library on your iPhone is a recipe for bad battery life, especially if you shuffling music over a 3G connection. Your iPhone’s music player currently displays every single track in your iCloud-based iTunes Match music library, including those that aren’t saved “locally” on your iPhone. 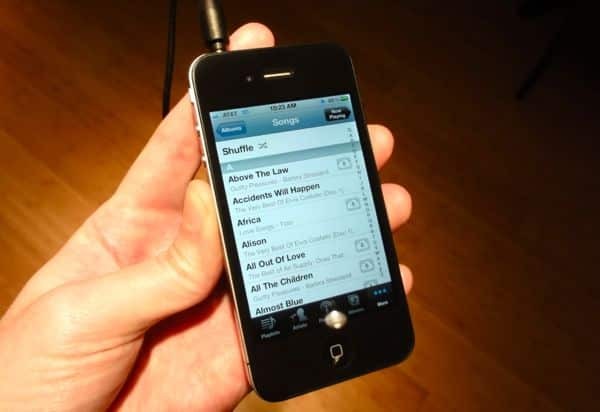 That means when you shuffle your music and you hit a song that isn’t sitting on your handset, your iPhone will start downloading it from iCloud—and the more data you stream on your iPhone, the more you’ll drain the battery, particularly when it comes to using your carrier’s cellular 3G data network. Also, the more songs you download over 3G, the closer you’ll creep to your monthly 3G data limit (that is, unless you have an unlimited 3G data plan through Sprint). 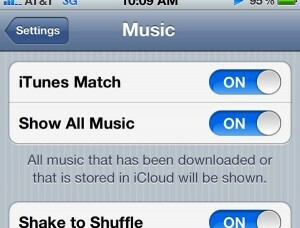 This way, when you put your iPhone on shuffle, you won’t run into any tracks that must be downloaded from iCloud. 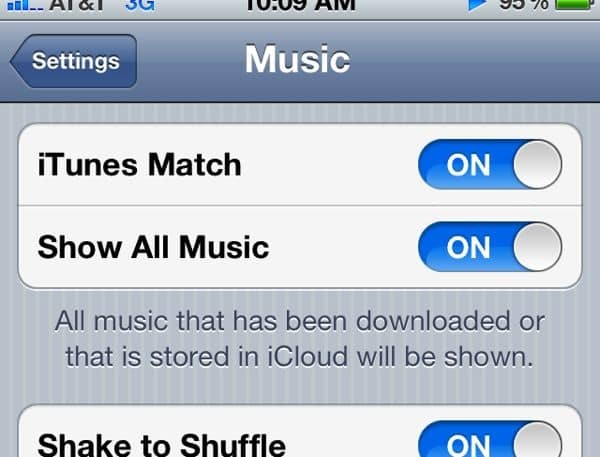 To do so, tap Settings, Music, and switch “Show All Music” to “Off.” The only problem, of course, is that you won’t be able to see your entire iTunes Match collection on your iPhone anymore. Switch "Use Cellular Data" to "Off" to keep your iPhone from trying to download iTunes Match songs over 3G. This is what I do, and it means you can still see your entire iTunes Match library on your iPhone without having to worry about downloading tracks tracks over 3G, especially when you’re shuffling your tunes. 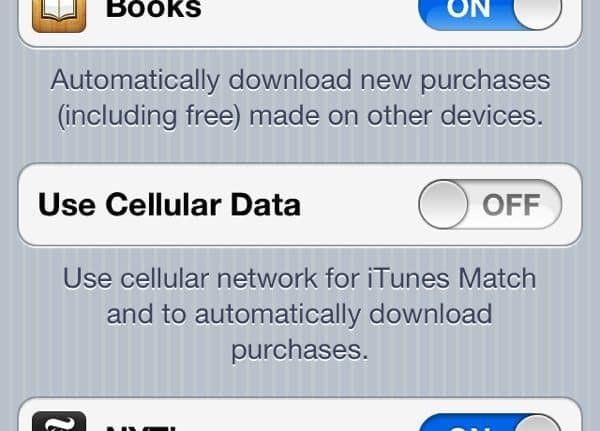 Tap Settings, store, then switch “Use Cellular Data” to “Off—and yes, you can now switch “Show All Music” back to “On” if you like. Have more iTunes Match questions? Let me know!